Previous entry Upgrade or new addition to the collection? Sounds like you have a exciting task for you throughout 2019, and beyond. In essence, if I read your post correctly, you desire a documented trace of a coin. A sort of genealogy of a particular coin. Sounds great. Here is my two cents---sorry about that--- the initial newly purchased raw coin pre-history, no matter what it is, will be based solely on your input. With no documented proof. 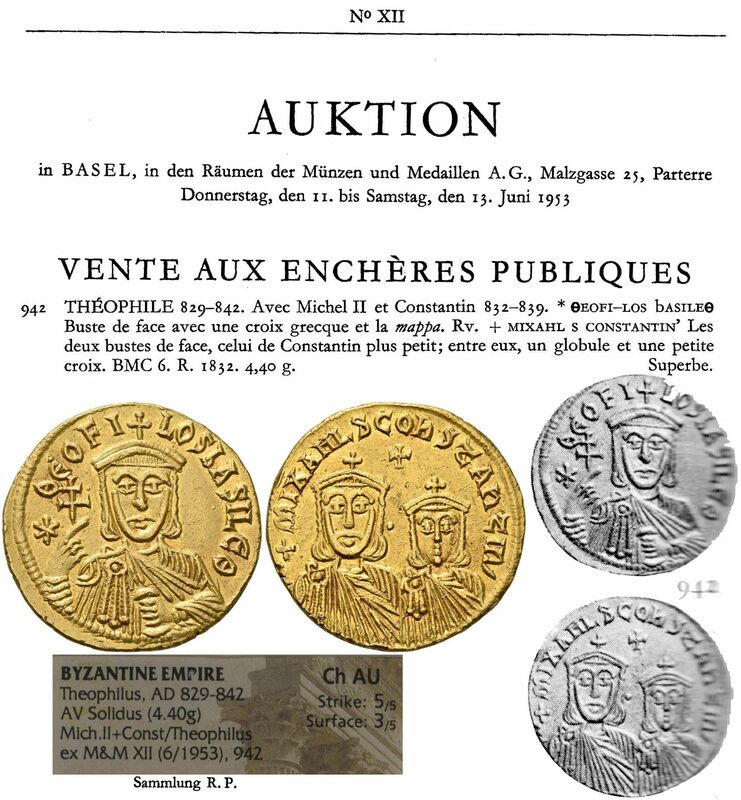 You purchased a raw coin from "Ralph" who stated it was from "King Bert" in 1501--in December." Your documentation starts there and, if that is the case, your documents will always be challenged. As of your input forward at least you, your family and sadly at times, the new buyer, will have the knowledge that you put down onto paper and in images. I am not a detailed or, even a knowledgeable coin collector. I buy NGC certified coins off of various Internet sites that strike my fancy. My raw coins come from local small-town sellers. In genealogy, however, I am nationally and even or so lightly, known internationally for my work. My findings are based on my work but, my initial findings start with my personal interpretation. As will you. I wish you well in your newest adventure but, the initial input will be your most challenging aspect of your goal. A goal that is extremely important. As with counterfeit coins of today, be alert for counterfeit coin validation documents. I think the best you're going to be able to ever hope for with NGC / a third party grader is for them to incorporate a method into the registry or something similar that lets you build in provenance information that can travel with the coin as it travels through time from one registry user to another. The grading company is not going to want to be involved in saying this information is legit or not - especially if this is perceived to increase the value of the item and create financial liability in the process. I also don't see them investing the time / manpower / human resources for such an effort without financial incentive - which might turn into paying them every time the coin changes hands and you want them to verify and add something to this provenance. That might be enough incentive to overcome the reluctance to accept the liability, but it's just going to turn into one more costs of owning / collecting and people will only do it with truly rare coins or truly famous coins / collections - the kind you establish provenance on anyway. One thing you might look into is that the coin details has a tab now called "Purchase/Sale" that I think only the owner can see that lets you list when it was bought, who it was bought from, what you paid, and add notes. Yes make sure your heir(s) can access your NGC account if you have been updating your collection of slabbed coins there (user name and password, and explain briefly those tabs that Revenant included a picture of). For your own purposes too, it is nice to have the date of buy, from whom, total exact basis in the coin, and any other details you want to record. On the NGC slab they can only really fit one element of the provenance, and of course I'd want the oldest one, but this means you are leaving out other links in the chain from the slab itself. In the attached example I got the coin raw from Leu Num. in Switz and they themselves had identified it as coming from a 1953 M&M auction "RP" collection. NGC demands some kind of evidence beyond that to put it on the label. I contacted M&M who are still in business and, maybe since I had bought from them a couple years before, they very promptly sent me a scan from their catalogue showing the coin lot and plate and catalogue cover. Very nice people. You can often do your own research and maybe have some luck on Google Books, where full pdfs of many collections and auction catalogues exist, some even are out of copyright now and in the public domain. 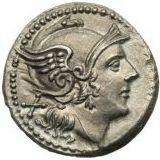 With ancient and more recent hammered coins, there is enough difference between examples that I believe you could identify a coin you hold now if it matched an ancient imaged in a catalog even from the late 1800s. Jack - fortunately I tend to buy at auction so my invoice will be from the sale of the named collection and as you say the recorded history of the coin will tend to start there. As I collect world coins and they are almost always in the raw state, and with Third Party Grading only just starting to gain acceptance here in Europe, it is more difficult to prove a provenance, for example the Charles I halfcrown I mentioned has a provenance that goes back about 150 years and this information certainly impacts its value so deposito's experience that NGC wouldn't just except the provenance given in the auction catalogue and that further research was required to support this was interesting - and sometimes justified! Fortunately I do have a lot of catalogues and spend much time tracking the history of individual coins so it would not surprise me if some collectors have extensive databases for their specialist area of interest and it would be a shame for this vital information to disappear, those collectors who are able to turn this knowledge into books and articles are invaluable to this 'hobby' of ours and deserve the greatest respect for their efforts. Revenant, thankyou for the details of the Collection Manager, I haven't used this although I do already have all - well most of - the details on a spreadsheet, my current situation is the pictures are mainly restricted to my Napoleon and British sixpence collections which means the rest of the world remains to be done, unfortunately British, Spanish and French colonies covered a large portion of the globe meaning that this is not going to be quick. The bigger issue for me is that most invoices are on paper only and these will need to be scanned and linked to the spreadsheet entries. The same applies to the appropriate lot description in an auction catalogue as most of these are hard copy only (showing my age now ) which I also need to incorporate somehow. I hadn't considered that the TPG's may have liability concerns given they do, sometimes, add provenance to the label, and I would expect them to charge a 'low' fee for this electronic only listing, although this whole process would probably be more efficient if the auction houses did it en mass for each sale. As individual collectors we may just have to search the auction archives each time we make a new purchase however as I understand it the reach of the legislation, which was proposed to prevent the illegal trade in ancient artefacts, is actually much wider and is already causing issues for dealers (provenance, export permits etc) and people trying to sell items at auction, particularly inherited collections - hence my goal for 2019. As my daughter has already decided that the collection is hers when I am no longer around (her brother did not get any say in this) the greatest challenge of all will be getting her to help! This is how I did it for the medals I bought with a provenance to the Fraser studio. First it didn't hurt to have an article in the ANA's June 2018 edition of "The Numismatist" entitled, "Fraser Studio Finds". In that edition was an interview by name with the curator of the Fraser Studio artifacts. A friend with a common interest in the Fraser artifacts called me to tell me he had an appointment to visit the studio and asked me if I was interested. Seeing as fate would have it, he lived about an hour away and I finally ended up with two medals. The first thing I did before I sent anything to NGC was to send an e-mail to customer service. In the e-mail I gave them my phone number and the person in charge of grading medals called me. I told her that I had a signed receipt and a cancelled check of which I sent both with my medals to NGC. Afterwards NGC called me back and we agreed on the wording of the provenance. We finally settled on "Fraser Studio Achieves". Now I have a provenance traced back to Laura Gardin Fraser as the owner and designer of the two medals I now own. NGC was very willing and helpful to work this out with me.